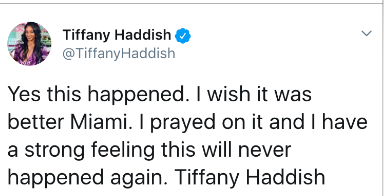 From Tiffany Haddish to Chrissy Teigen, these women are owning their failures, sharing their raw moments, and upping the honesty online this year. Social media has the power to foster community and connect us with friends, but it can also act as a highlight reel of perfection — only showcasing the most filtered moments of our real and often imperfect lives. While sharing a photo with your followers seems harmless, the comparison trap that it can trigger can be harmful for our self-esteem and mental well-being. 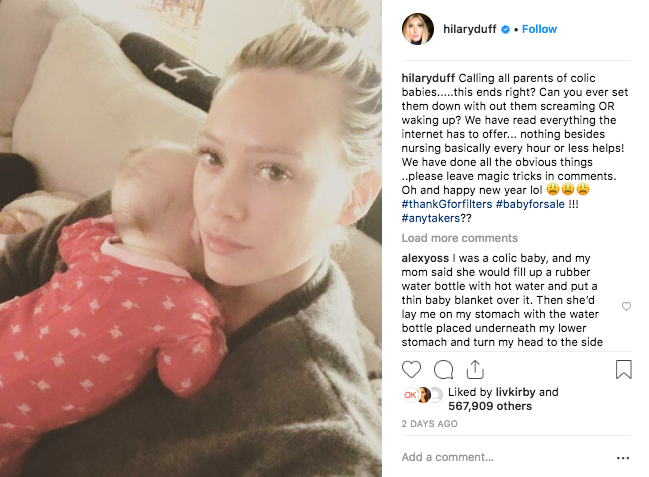 But among the shiny edits and polished captions, some celebrities have recently started using their online presence to reveal the raw, unfiltered realities of their lives — sparking an emerging trend of being more candid online. 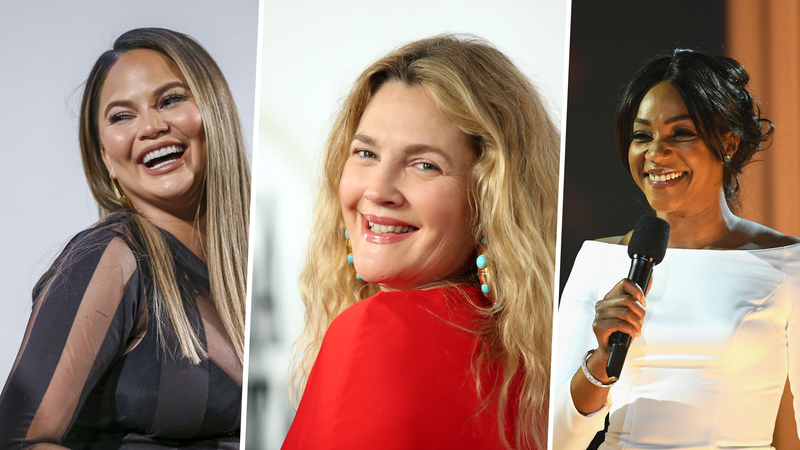 Here are some stars who have brought some much-needed bouts of honesty to social media. 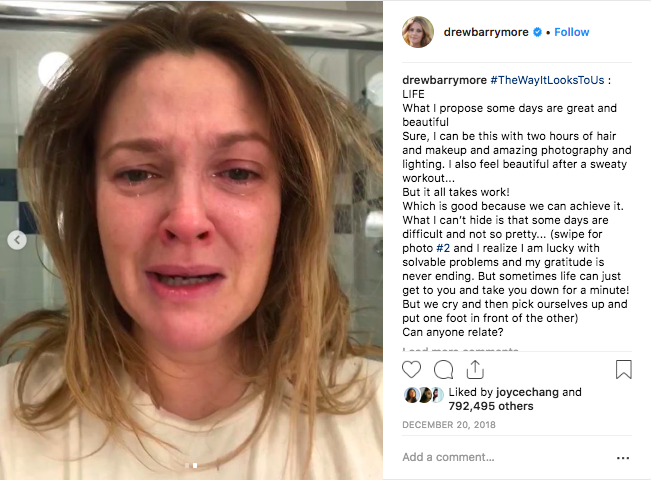 While most celebrities post photos where they look their best, Drew Barrymore made an exception when she posted a selfie of herself crying with a caption that sparked conversation about mental health. “Sometimes life can just get to you and take you down for a minute,” she wrote. 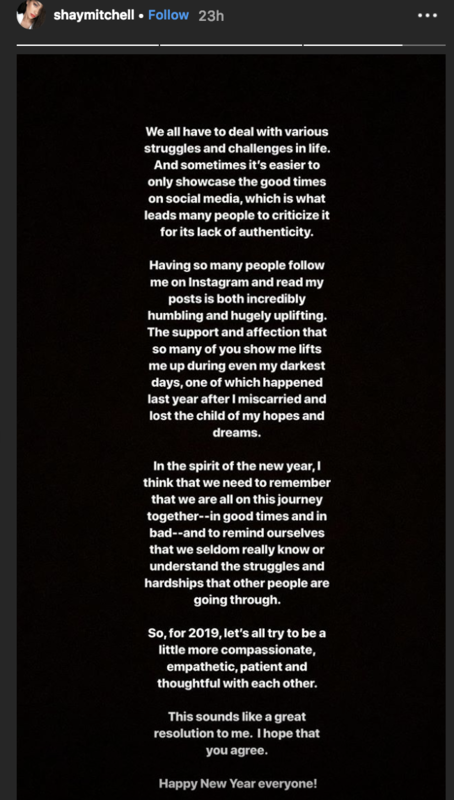 “Some days are great and beautiful… What I can’t hide is that some days are difficult and not so pretty.” The actress’ willingness to open up about having bad days and picking yourself back up rallied thousands of commenters to show their support and appreciation for her honesty. 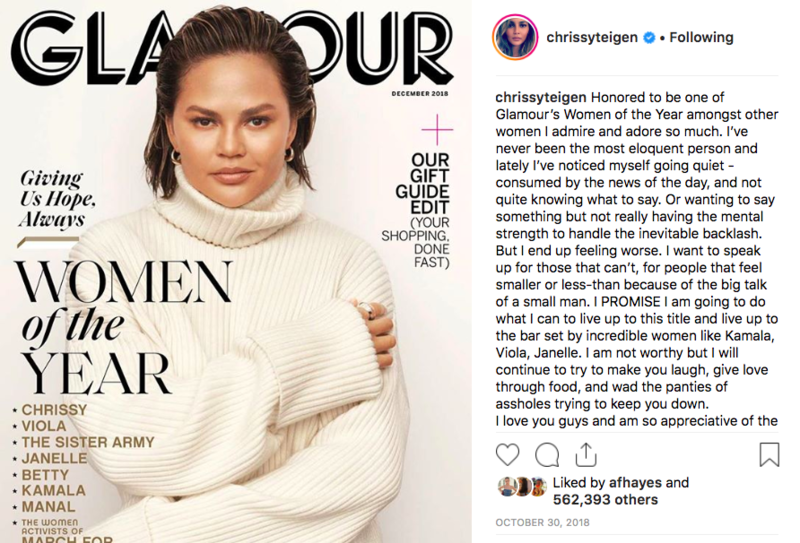 The cookbook author, model, and wife of singer John Legend has gained praise in the past for her openness about postpartum depression and motherhood, and Teigen’s ongoing social media presence reflects her refreshing candor. Whether she’s posting a realistic at-home dinner that “even portrait mode can’t save,” or opening up about her inner critic challenging her “mental strength,” Teigen constantly reminds us how important it is to be open about our struggles, and to see past the mask of perfection.